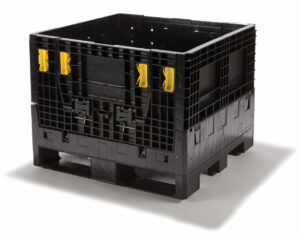 Our 32x30x29 reusable plastic collapsible bulk containers represent our smallest standard footprint. With a capacity of 2000lbs. 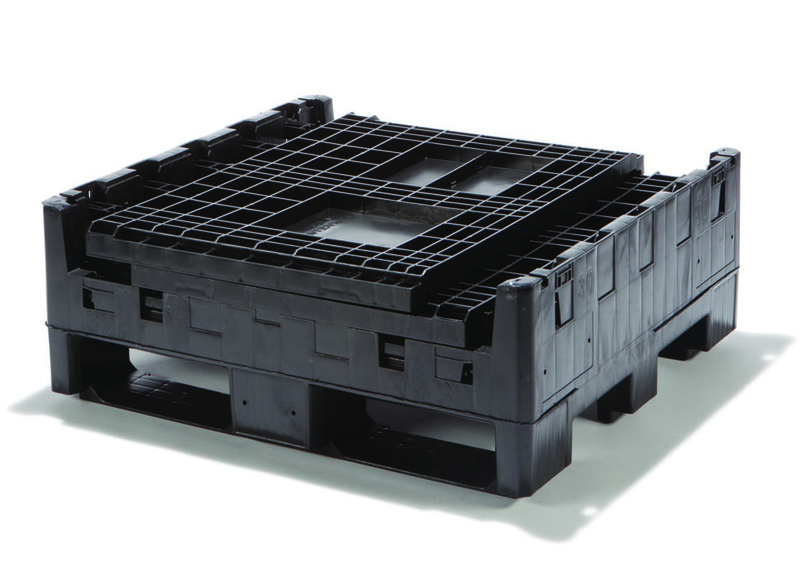 the 32x30x29 is ideal for any high-density applications. 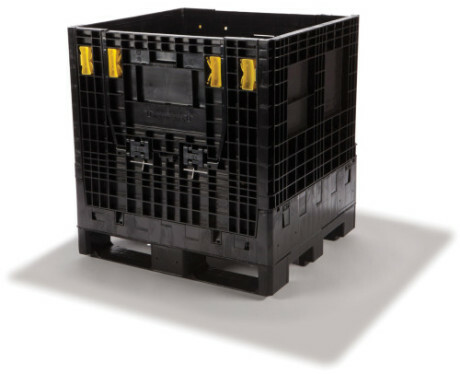 This reusable container collapses down in seconds for optimized return logistics. 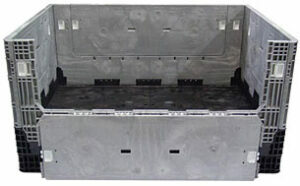 The 32x30x29 reusable bulk container is four-way forkliftable and comes standard with drop doors on the long sidewalls.